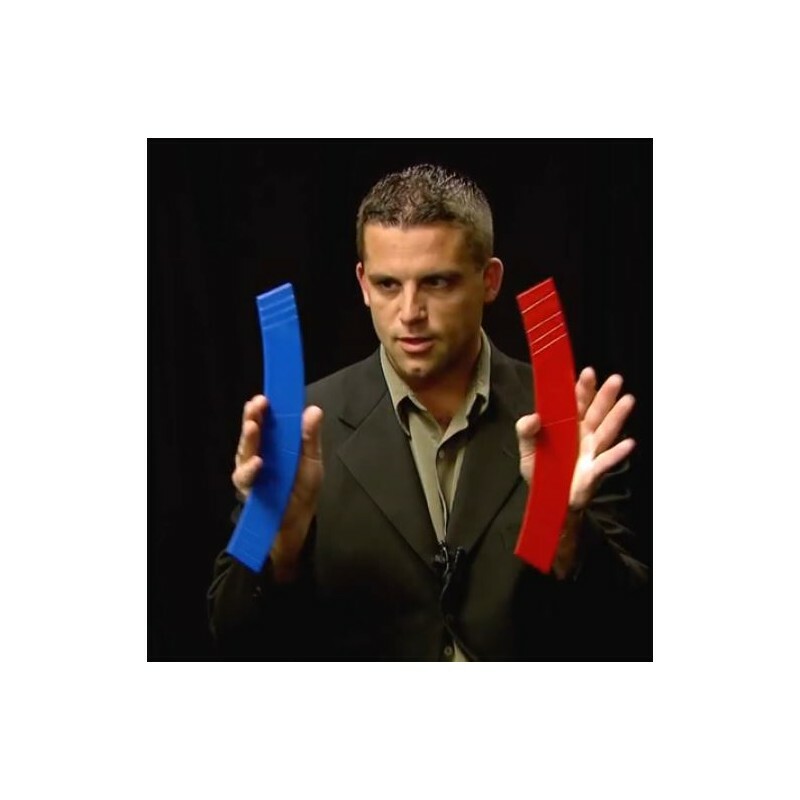 These magical boomerangs make for an easy, self-working trick. 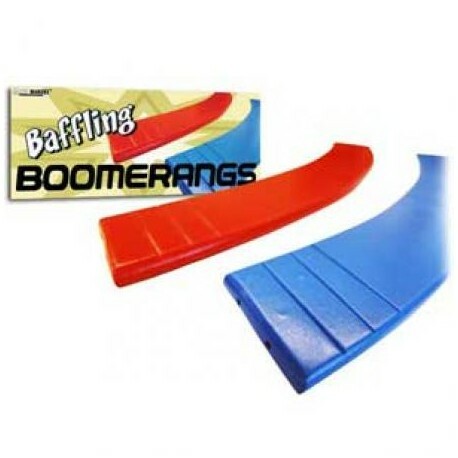 Baffle the audience as the boomerangs shrink and grow. 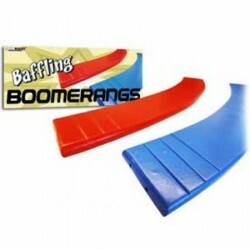 No setup, so Baffling Boomerangs can be performed over and over again. Is it real magic? We think so. 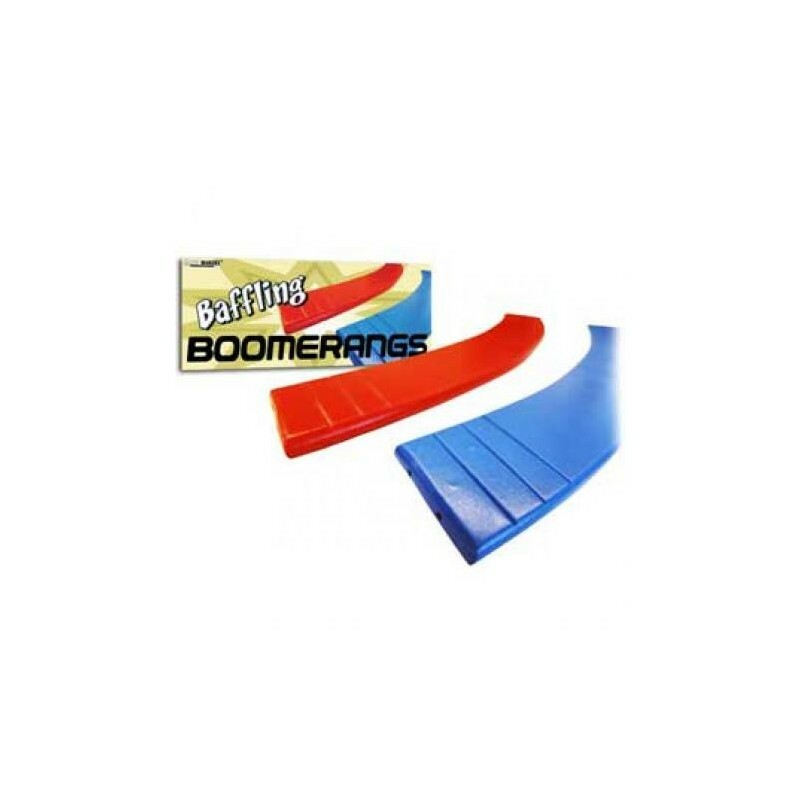 Set includes 1 red boomerang and 1 blue boomerang. Each near 12 inches long and made of the finest wood.